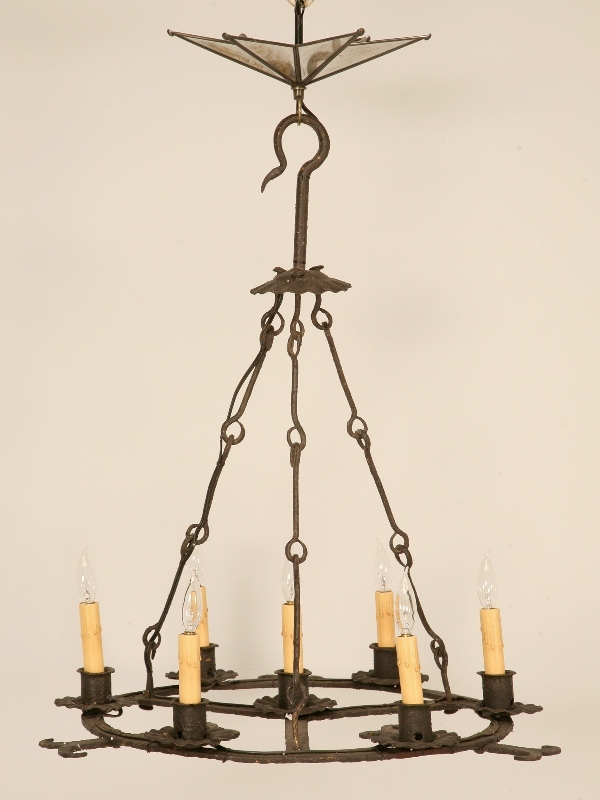 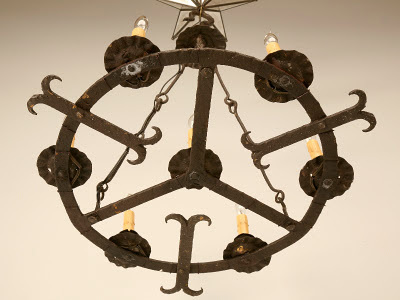 Antique chandelier in Spanish style made from wrought iron and it is hand made consist of seven lights , It can be used in classic interior design , that has just been wired for electricity. 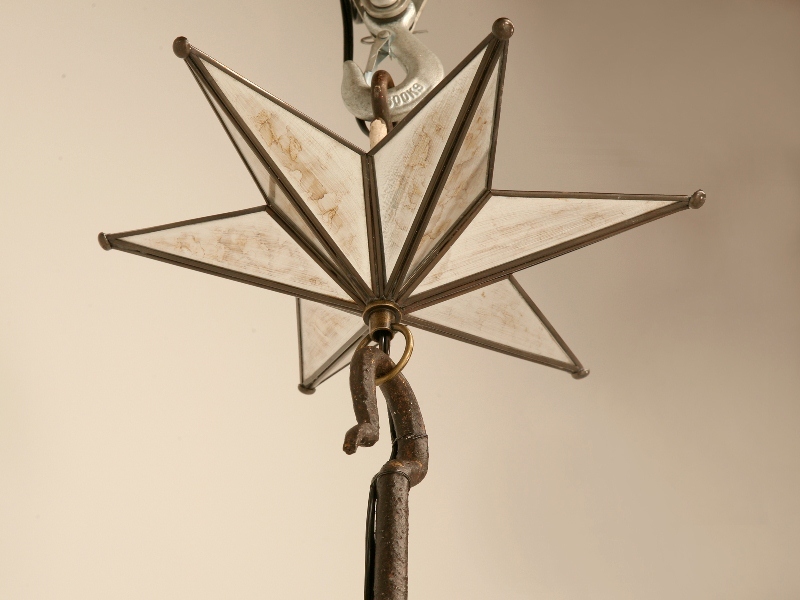 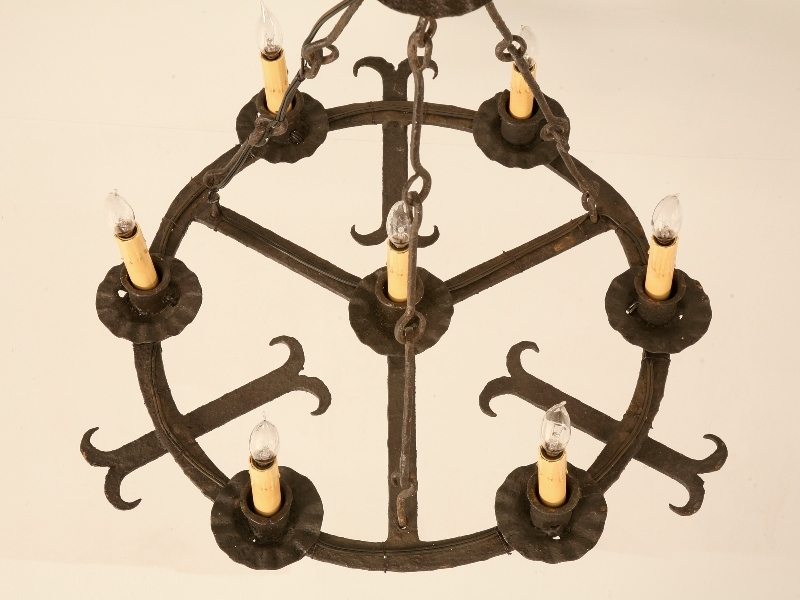 This rustic one was originally used with candles in the 1800s see also " chandelier in empire style " this piece are in good condition. Those pieces should add a nice little medieval feel to any room. 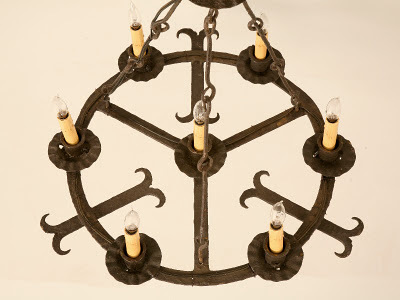 I think I'll put one over the dining table.